In this Binary Bankroll review we prove that this program is full of lies. So you should stay away from it. 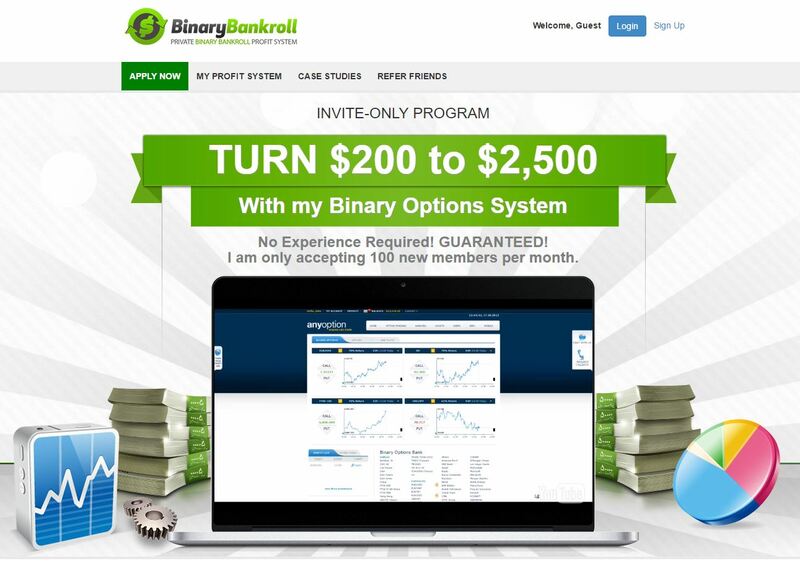 BinaryBankroll is a website that offers a binary options trading system that can allegedly turn $200 to $2,500. The system is free, but after you reach $2,500 in profits you have to start paying a 20% fee of your following earnings. 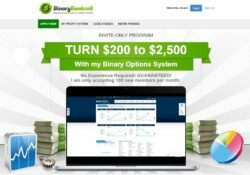 This Binary Bankroll program is just another way to make you deposit money with a broker that these scammers are affiliated with. Because it will earn them an affiliate commission. This is why they made up a story about a profitable trading system, but they don’t have it. So if you sign up with BinaryBankroll, if you deposit money with their broker and start trading with them, you will lose your deposit. And because they promote mostly unregulated brokers, chances are that you will never see your money again even if you don’t start trading with their crappy method. You want to see a proof? Look at the picture, they use fake testimonials with paid actors from Fiverr. 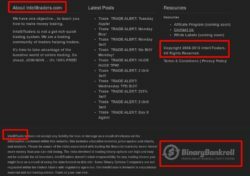 The interesting thing is that Binary Bankroll is run by Intellitraders, which is another scam website that works on the same principle. 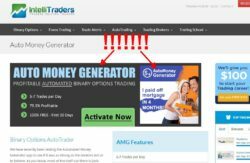 They promise money with profitable systems, but the only thing they want is you to deposit money with one of their brokers, because it will secure them an affiliate commission. You can see that they promote proven scams like Auto Money Generator. So these two websites are tied together with the same aim, they scam people and make them lose their money. And these two websites are probably not all methods these scammers use. 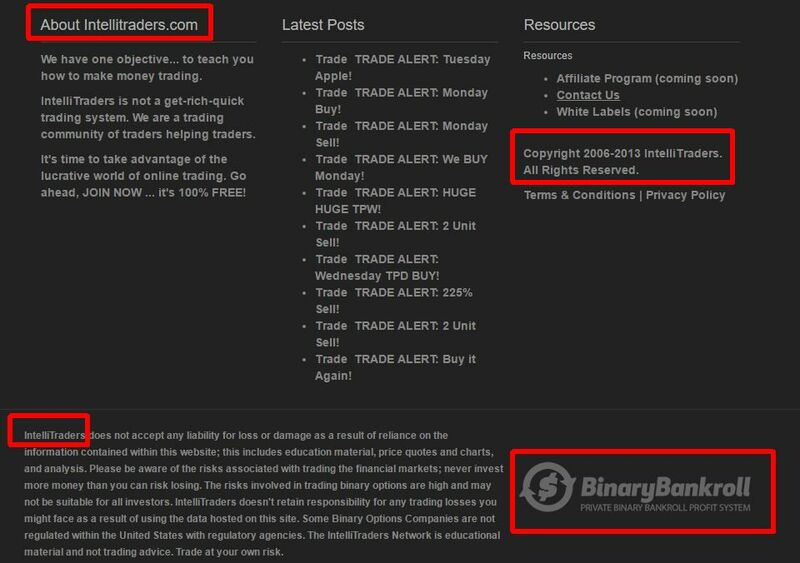 Binary Bankroll and IntelliTraders are scam websites that promise money but provide only losing systems. Because they don’t let you try any of their system before you deposit money, don’t even sign up. A honest free offer would let you try the system on a true free demo account to verify its performance. But free money making systems don’t exist. 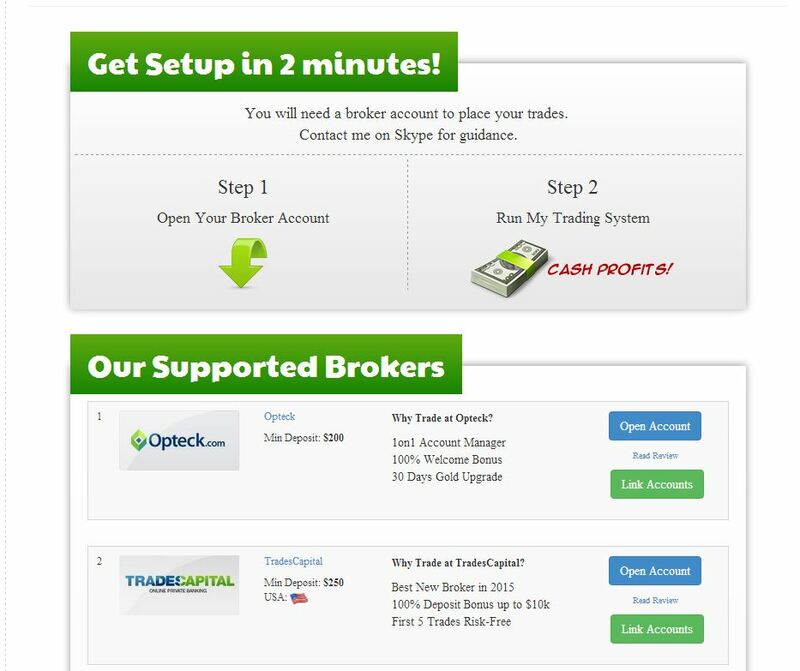 If you want to make real money with binary options, learn how to trade on a demo.